It has been a challenging week with repeated visits from Irish Navy, Air Force and Coast Guard questioning our activities. Although BGL is legally within its rights to undertake salvage operations within international waters, the very rare nature of such operations does draw the attention of local authorities when a large salvage vessel shows up in their Exclusive Economic Zone (EEZ). In this instance BGL has been contacted by the controlling authorities for the region and asked to provide assurances that its operations are compliant with law and regulations as well as safe and without threat to the environment. We have been able to comply with all requests due to the company having a complete understanding of the relevant Acts and Regulations that apply to its operations and also having and maintaining a suitably equipped Safety Management System (SMS). Furthermore, BGL was happy to provide a full survey assessment to the local authorities, detailing the current status of the wreck. Thankfully much of the time taken to agree all issues with the authorities occurred during a prolonged period of poor weather which had the salvage vessel on stand-by at location awaiting better conditions. Happily however, the weather has since decreased and we have recommenced salvage operations with the full approval of the local authorities. The single most difficult and time consuming part of this particular salvage operation is the breaking through of the outer hull plate; in this instance the hull plate is double thickness and the inner steel frames are closer knit. This was needed as the vessel was sailing to Canada through Newfoundland and therefore needed to be strengthened to compensate for the ice it expected to encounter on a regular basis. 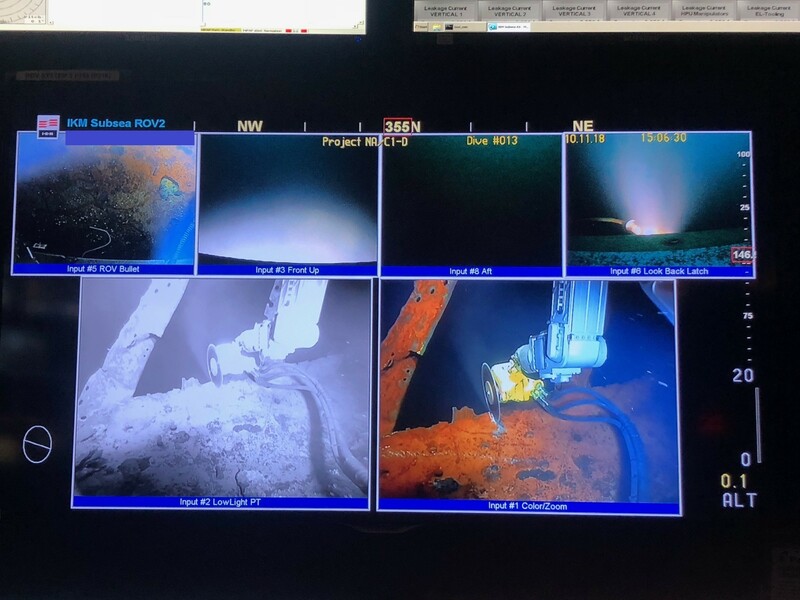 We are making headway using specialist cutting equipment and structural removal work with our grabs and today, for the first time, finally managed a glimpse inside the wreck through the worked aperture. We still have a great deal of work to do but confidence remains high, driven on by the excitement brought about of recent developments.